This is my favorite kind of salad mix. Hands down. I love the flavor, texture, color, smell, the way it feels in my mouth--everything. This mix is usually a blend of chicories, arugula, mizuna, and some lettuces, too. 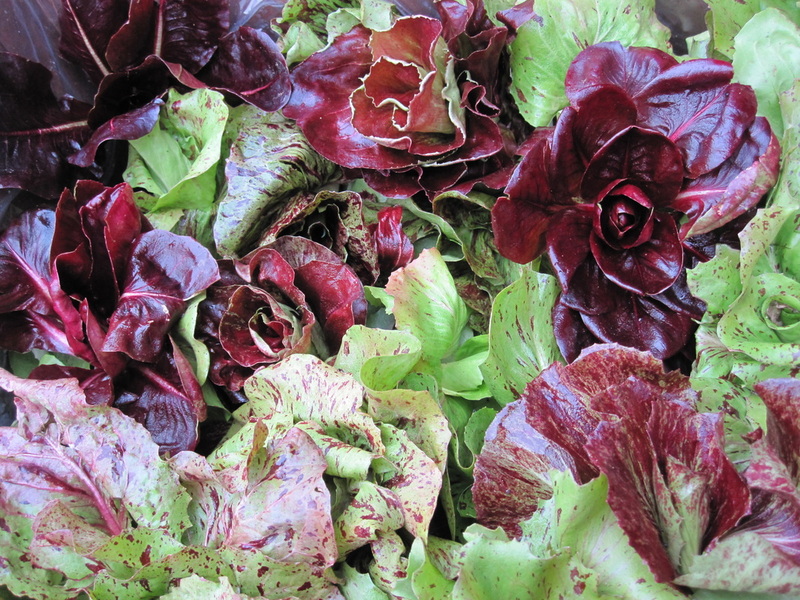 It generally keeps longer than baby lettuce mixes as most of the leaves are a bit more robust than usual mixes. Try it with a good, ripe grapefruit cubed in there, with a nice balsamic--sweetened with a bit of honey if you like. Cinnamon also goes really well into a dressing for these leaves. Oh! It's just so good! A salad for the mighty.